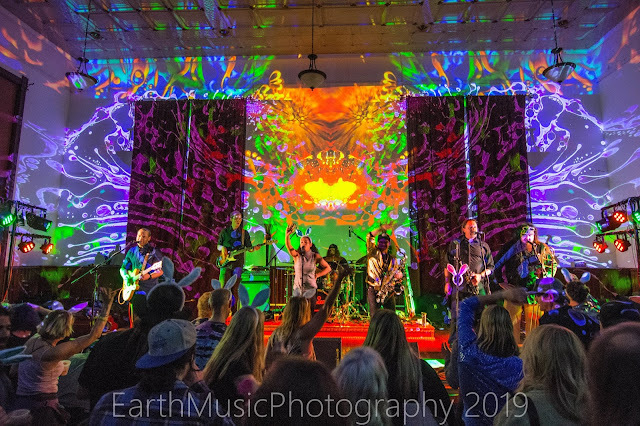 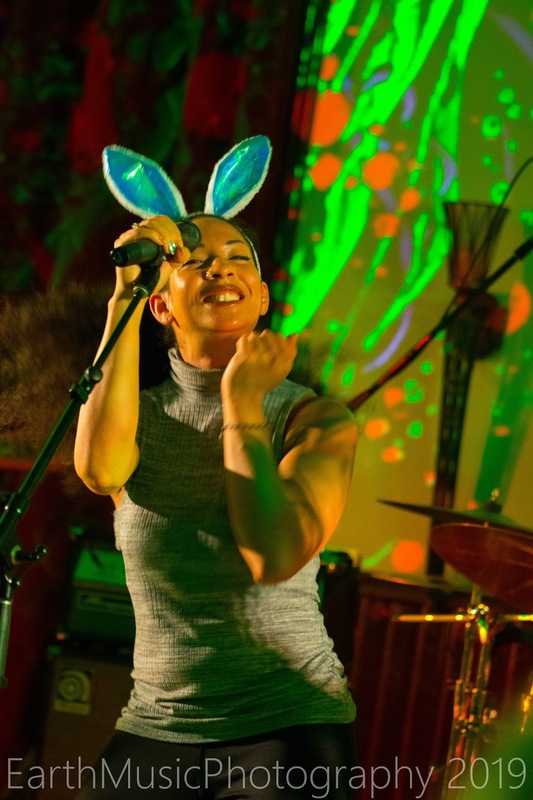 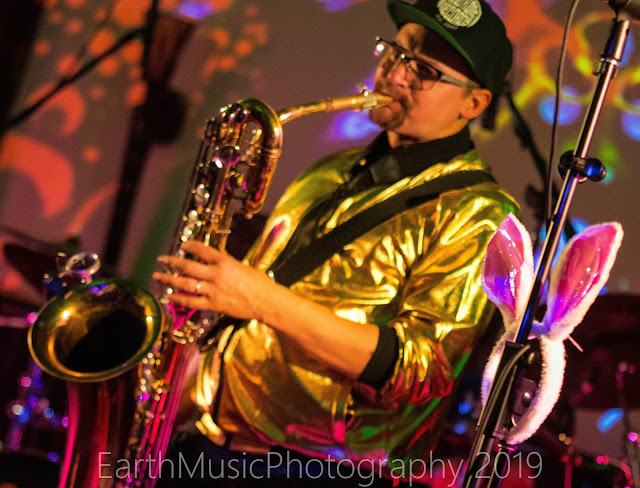 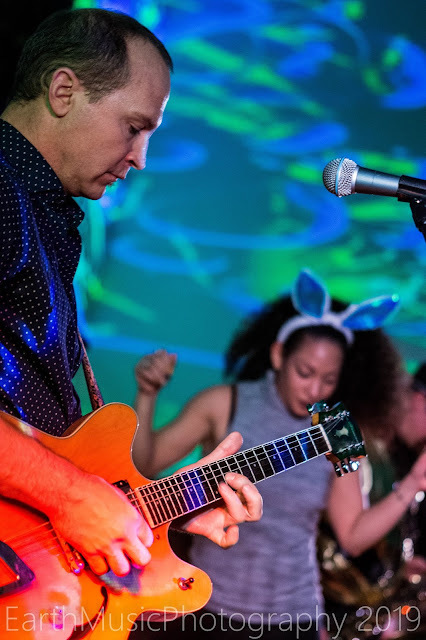 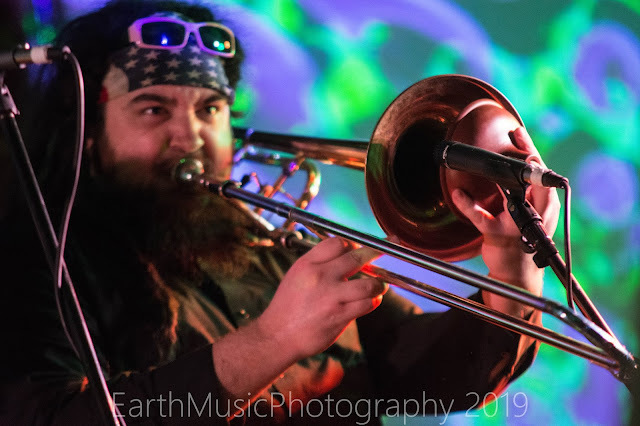 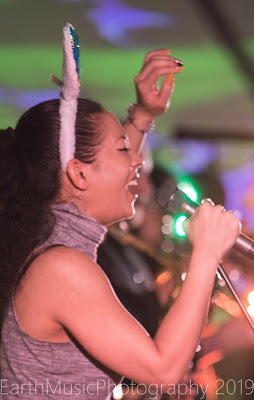 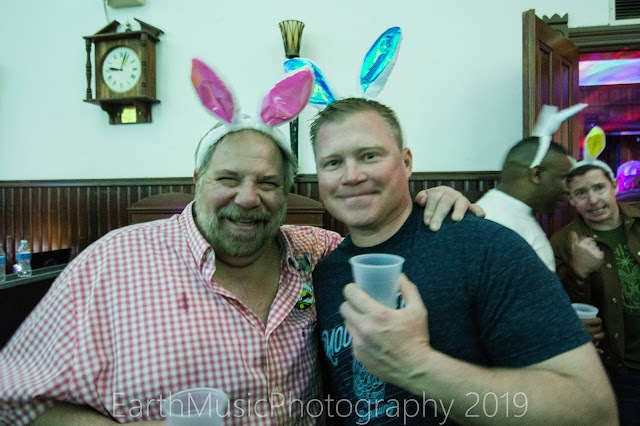 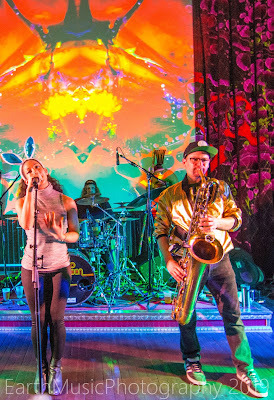 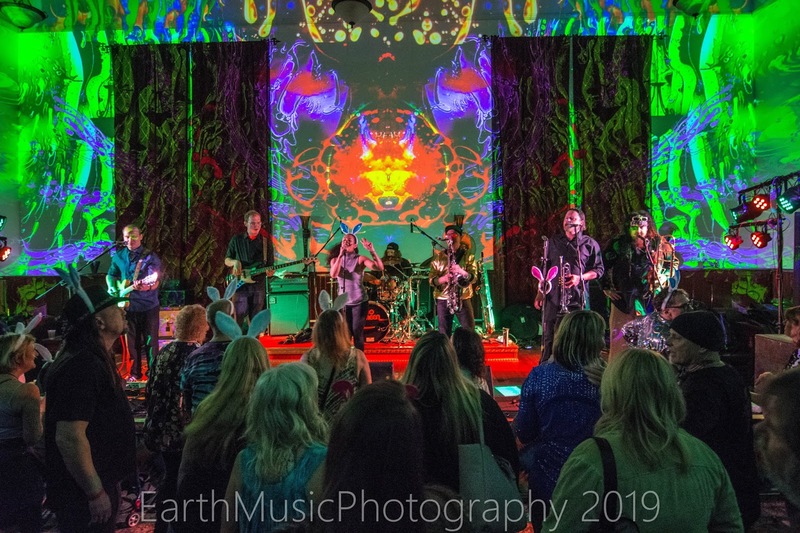 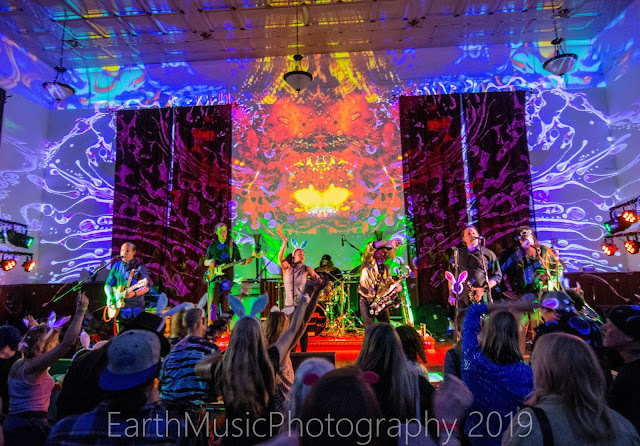 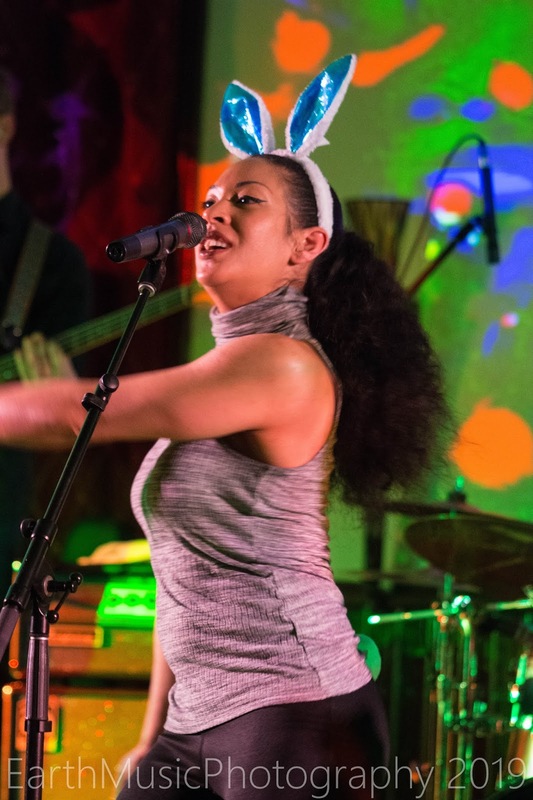 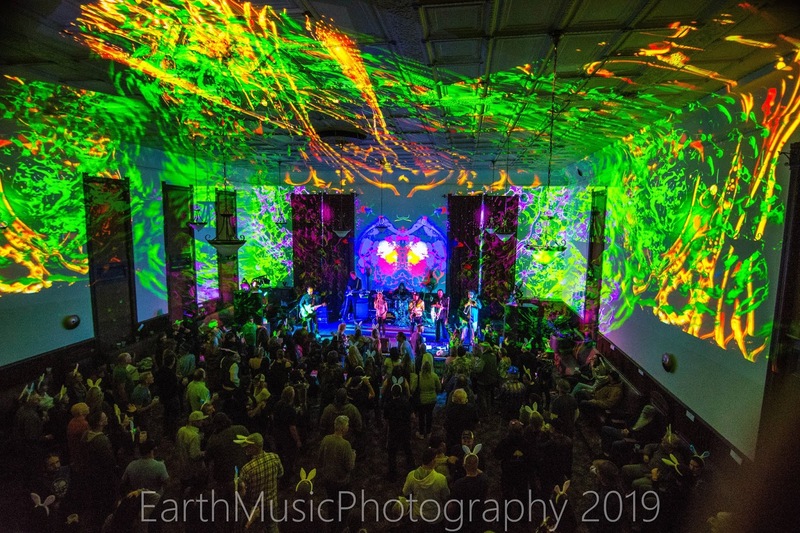 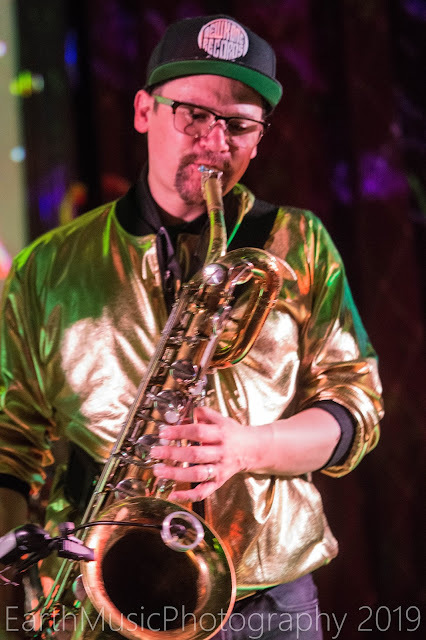 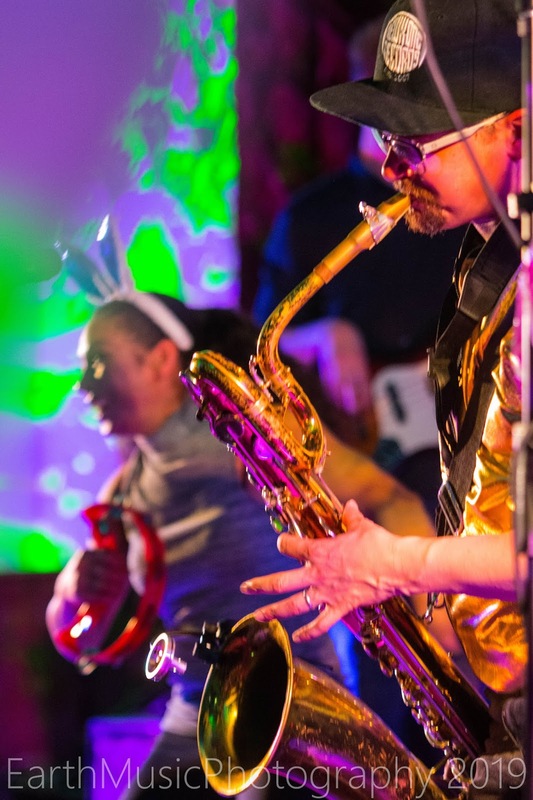 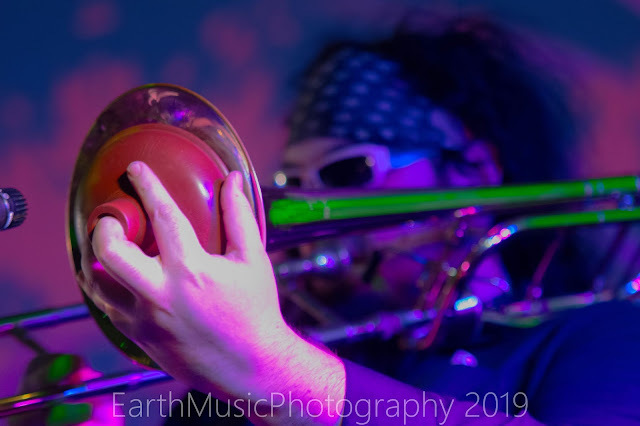 Concert goers in the heart of California's Gold Country region were treated to a rockin' night of funk and soul when Keep Smilin' Promotions presented Reno's own Mojo Green to a packed house at the Oddfellows Hall last Saturday night. 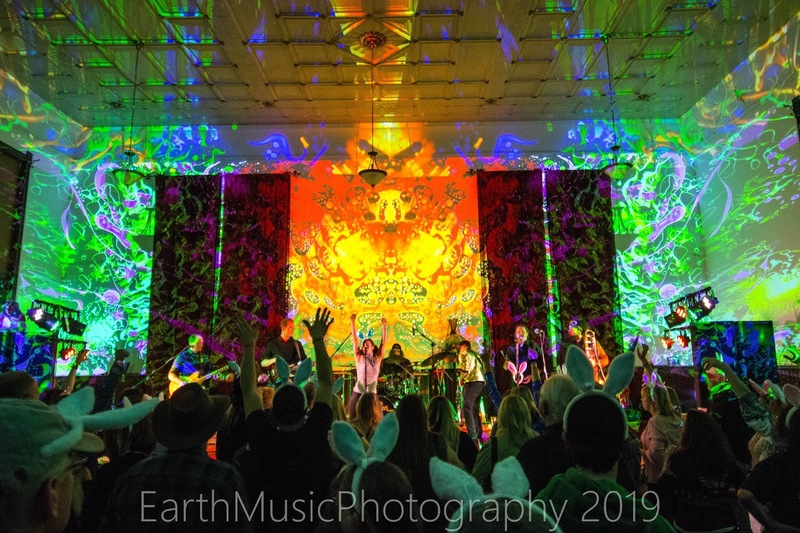 Keep Smilin' Promotions has a track record of bringing first rate shows to their stage, aka The Foothill Fillmore, and Mojo Green definitely struck the right chord with the audience judging by the energy on the dance floor. 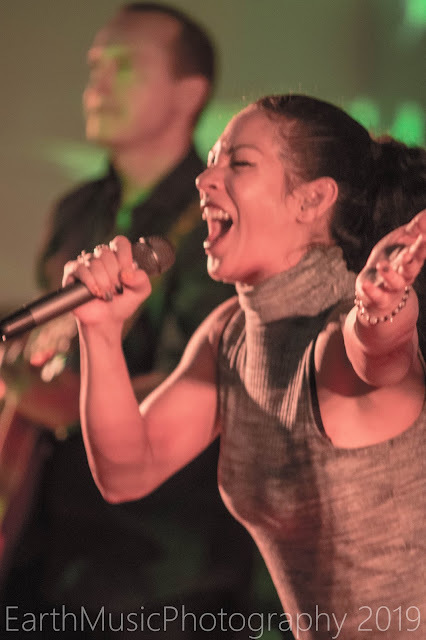 There was a lot of shakin' of bones - inescapable when lead singer Jenes Carter started the night with "Shake your Thang." 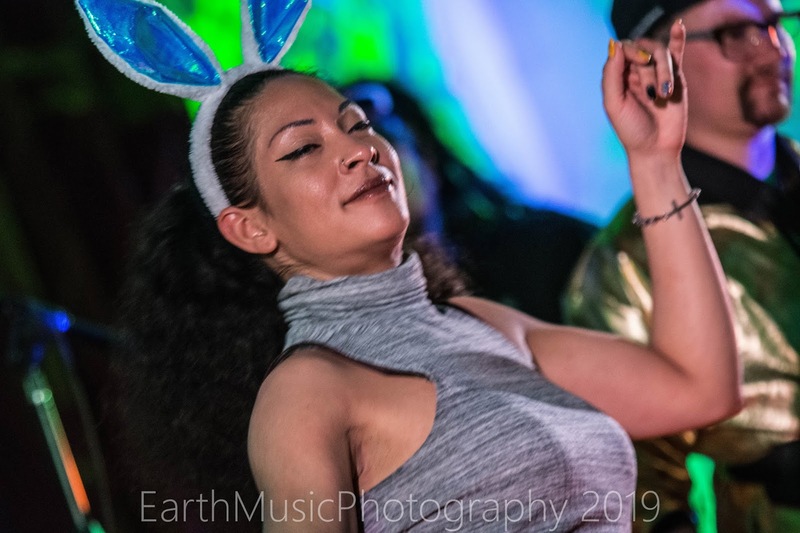 Carter's moves are enough to get a dead man's blood pumping, and she shakes her thang all night long, with energy left to spare. 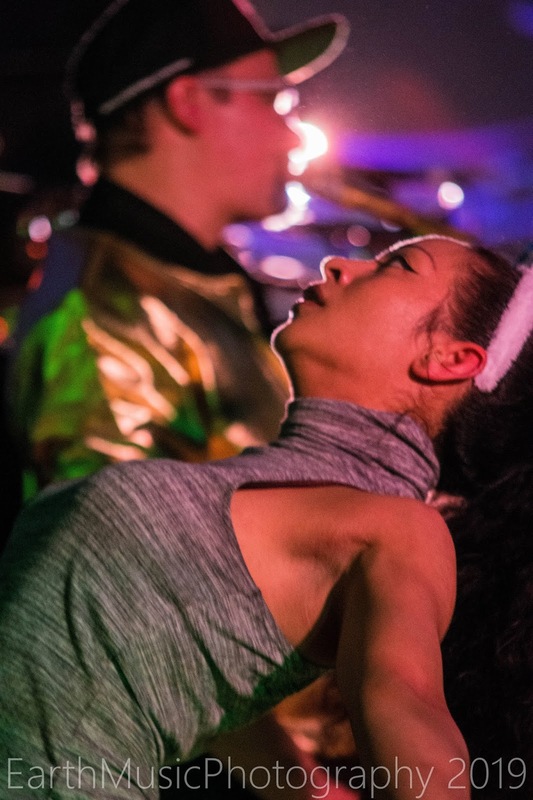 She may not realize that she is giving dance lessons, but her performance is so enervating that the audience can't help but leave the show with hotter moves then when they arrived. 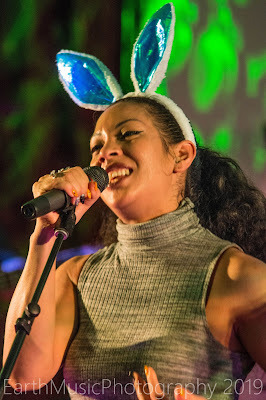 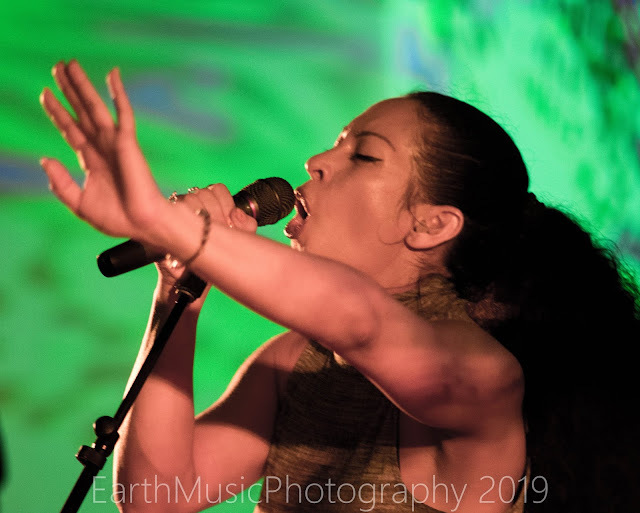 She sure can belt out some funk/soul vocals, but she is also eye candy par exellence - a recipe for the best kind of fun evening. 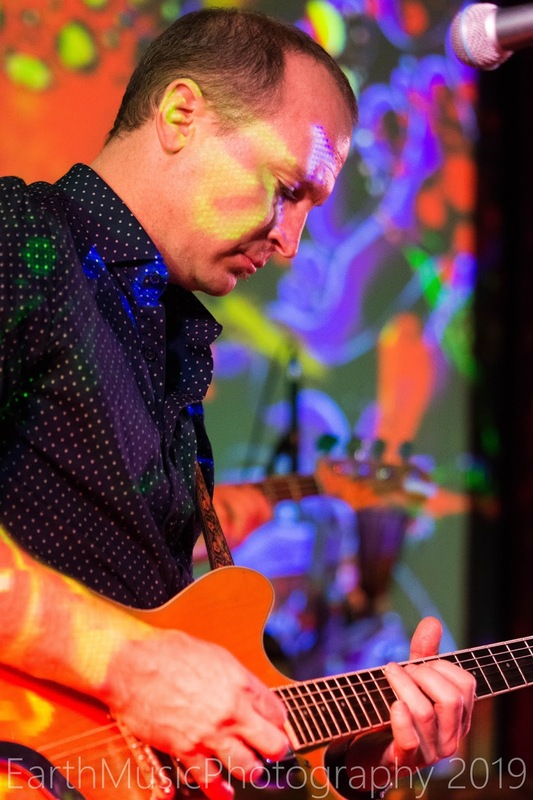 Backing Carter are some equally fine musicians that create an alchemy that is tight, creative, refreshing and addictive. They're a band that concert goers will want to see over and over again. 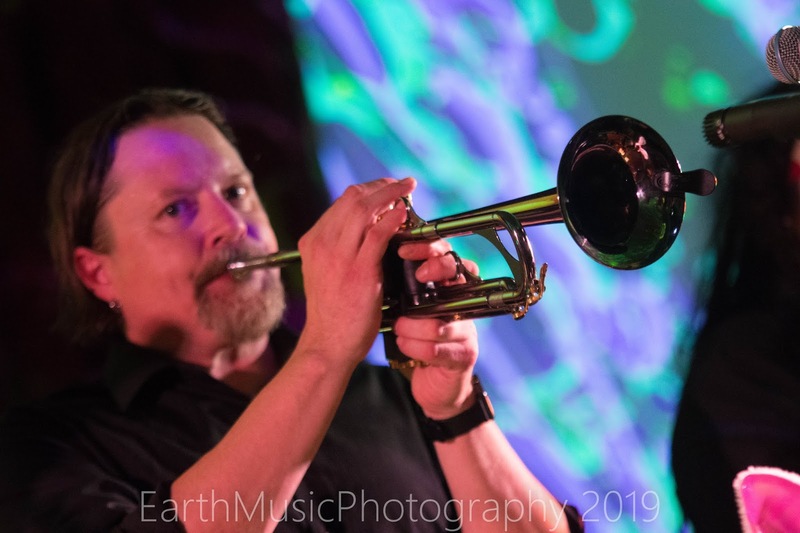 Featuring Tim Bain on guitar and backing vocals, Monty Adams on trumpet and backing vocals, Frank "Fletch" Fletcher on drums, Kevin Thomas on baritone and tenor saxophones, Davis Corl on trombone and Ivan Gates on bass - this ensemble is a well oiled machine that keeps the frequency high from the start to end. Mojo Green comes equipped with an original song list that keeps everyone smiling and moving, but they pulled out a mega surprise when they presented a mind blowing perfectly delivered version of Led Zeppelin's Immigrant Song. 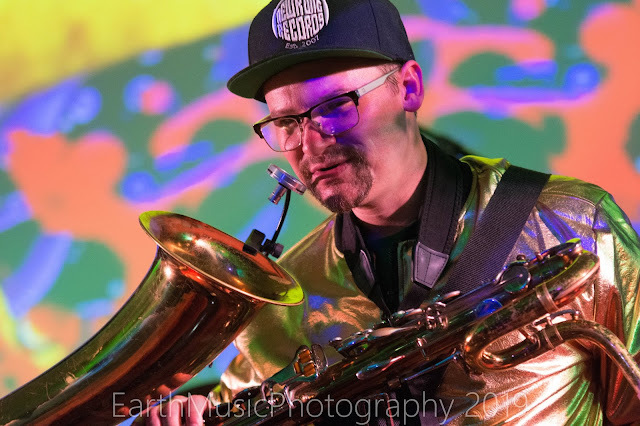 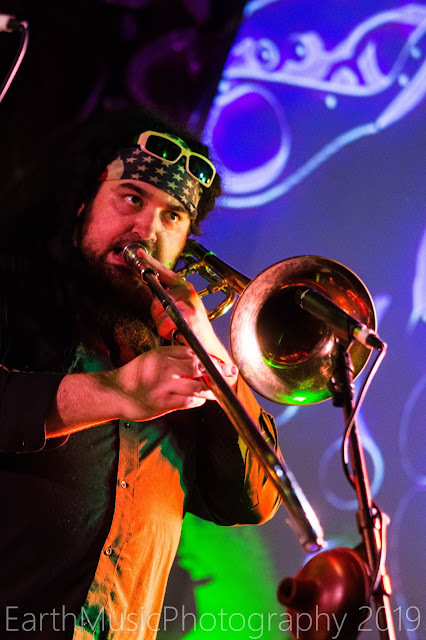 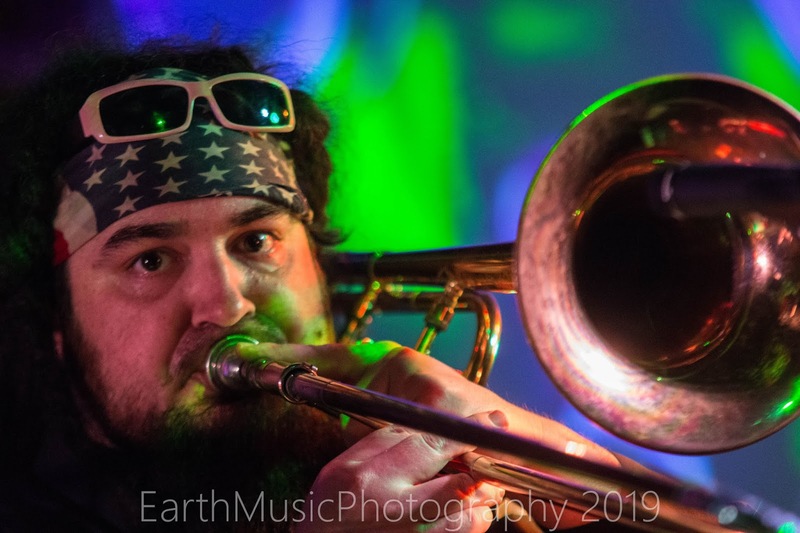 This band is a total powerhouse of horn heavy funk and soul, and with any luck, their tour schedule will include a town near you. A big thumbs up to Mojo Green! 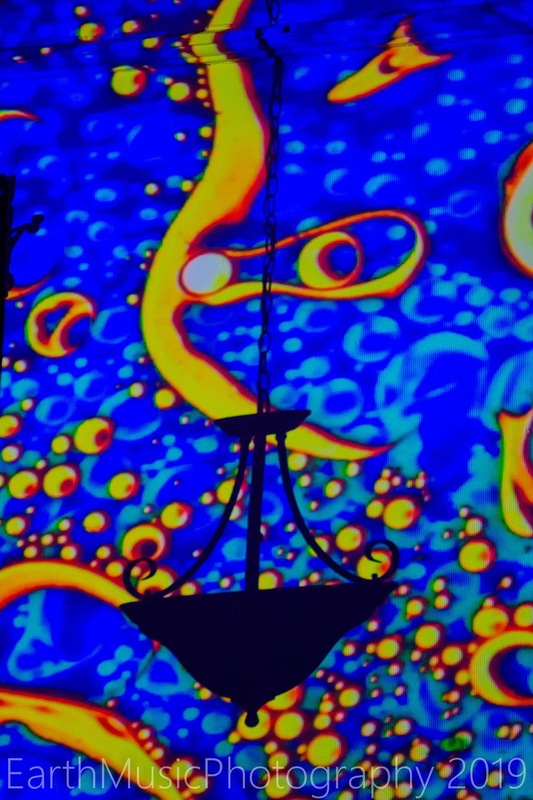 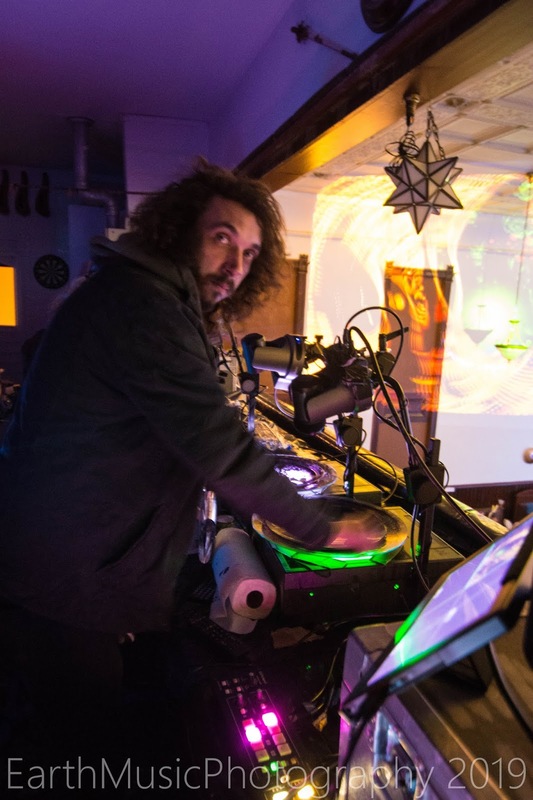 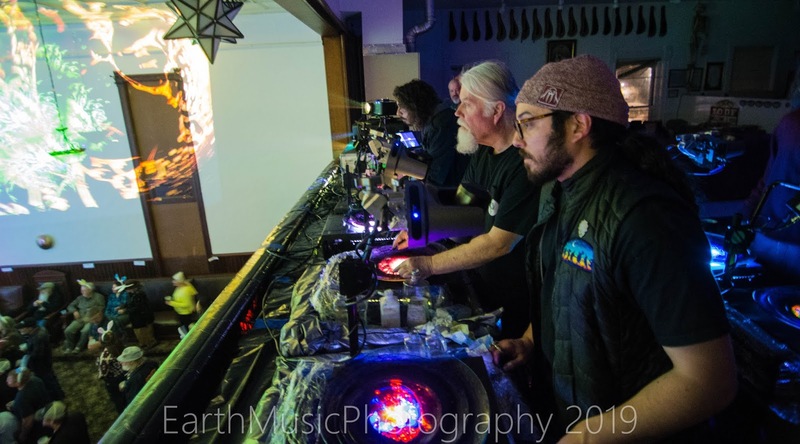 Special kudos to Mad Alchemy Liquid Light Show for delighting the audience with the best light show around. 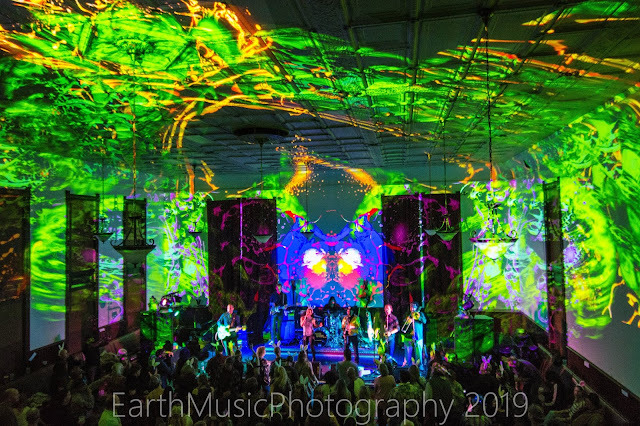 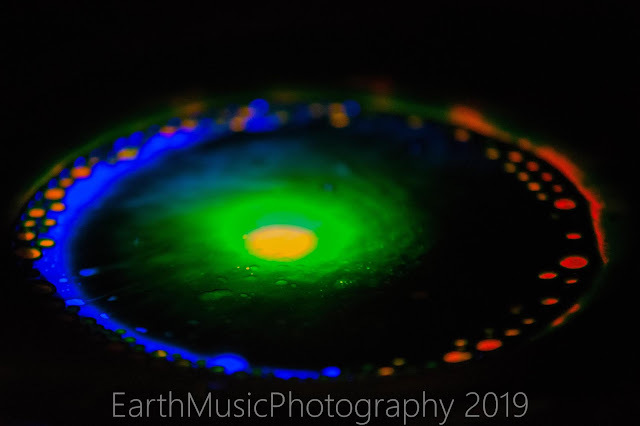 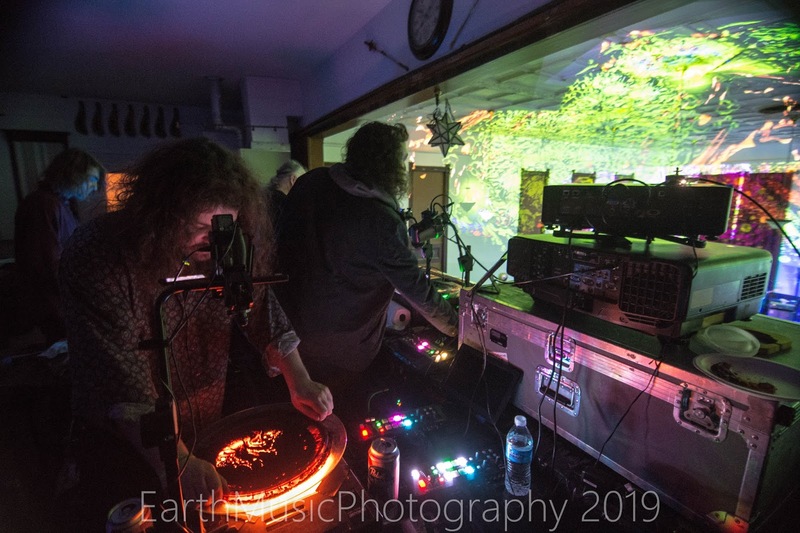 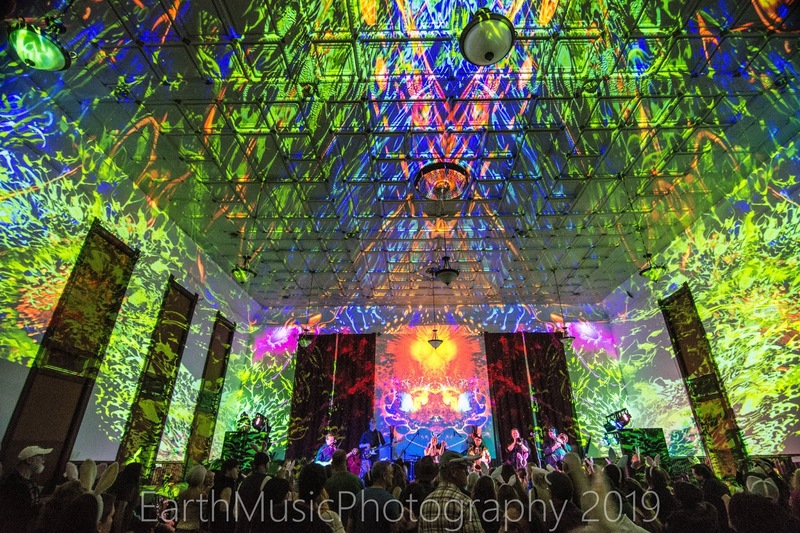 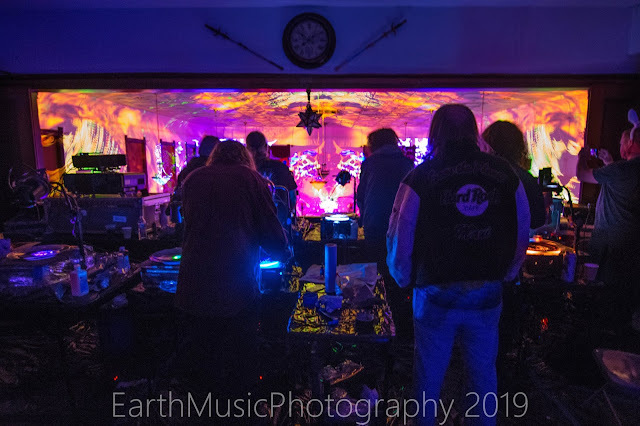 It was amazing to view their set up, watching as they worked their magic with static projectors to create a psychedelic experience reminiscent of (or better than) the early days, but with Lance Gordon at the helm, it makes perfect sense. Lance has been perfecting his craft since he was a kid, taken under the wing of a member of The Brotherhood of Light in 1971. 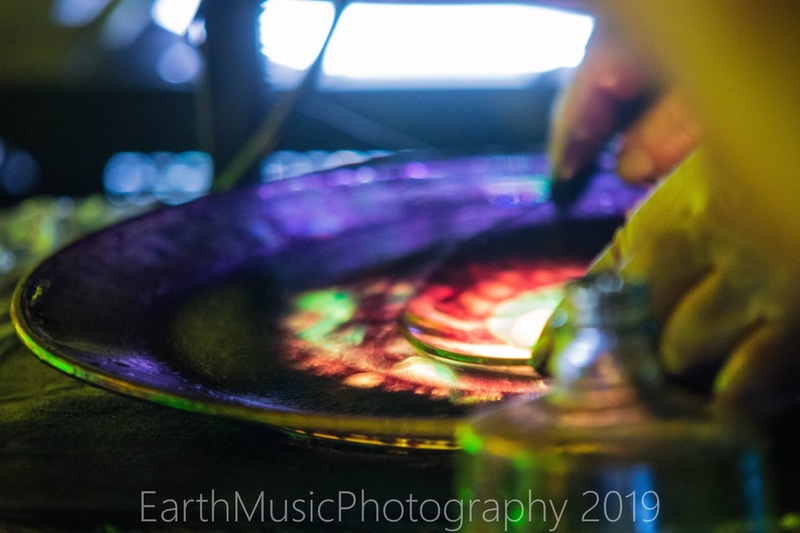 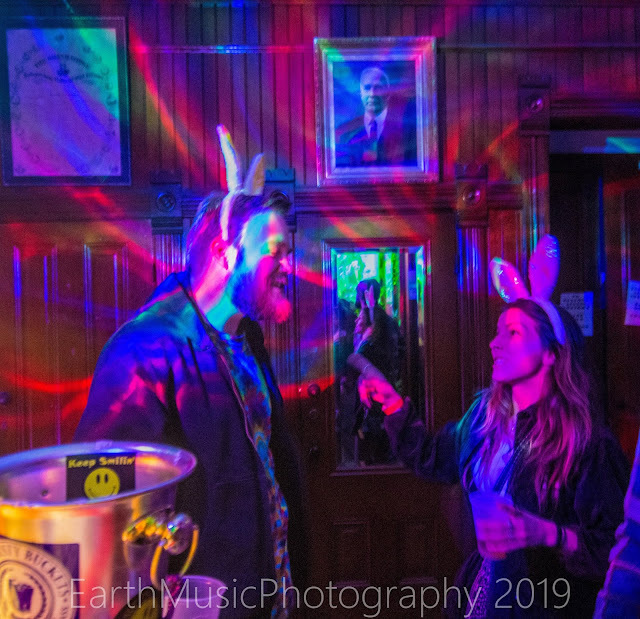 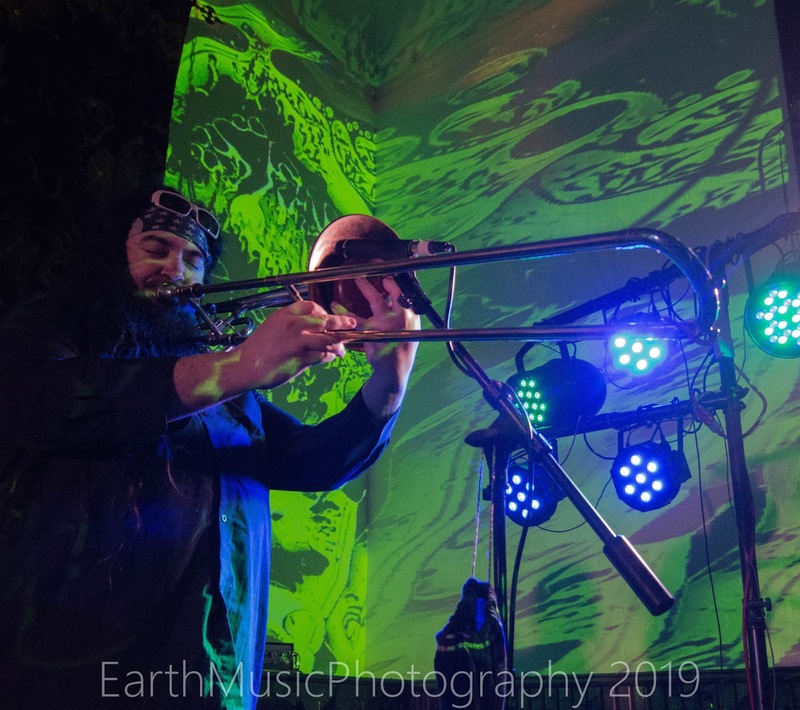 Mad Alchemy performs internationally, so it's a special treat when they grace the Oddfellows Hall in Auburn, performing for a very grateful crowd. 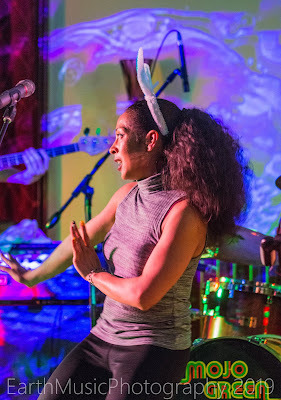 Writer Leslie Pitts Some links for your viewing pleasure!